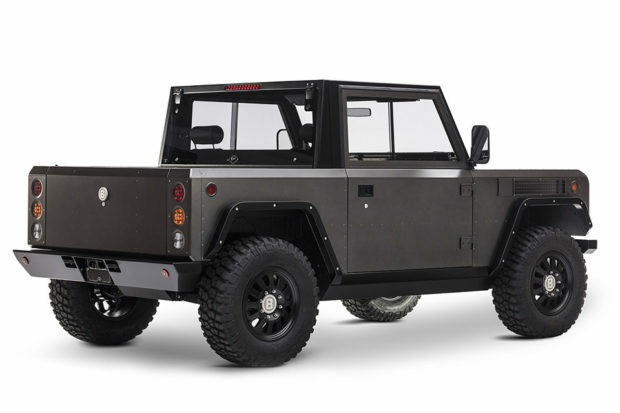 Bollinger Motors has unveiled an all-new electric SUV called the B1 and the truck is meant for serious off-roading. 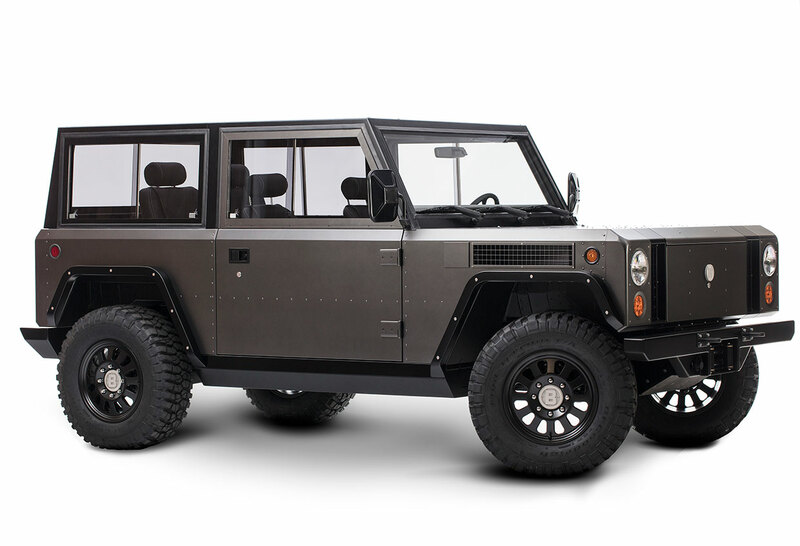 It looks a bit like a flattened Land Rover Defender to me, but this vehicle is driven by electric motors. Those motors make 360hp and 472 lb-ft. of torque, and the B1 has a full-time all-wheel drivetrain. Despite its size, it turns in a 0-60 mph time of just 4.5 seconds, along with a 127 mph top speed. It rides on big LT285/70/R17 tires, has adjustable ground clearance from 10″to 20″, and 10″ of travel per wheel. The truck can be submerged in 3.3-feet of water for 30 minutes before any electrics get wet. In other words, it should be up to just about any terrain you throw at it. It’s convertible from a full cab to a half cab configuration and can handle up to 6,100 pounds of cargo. 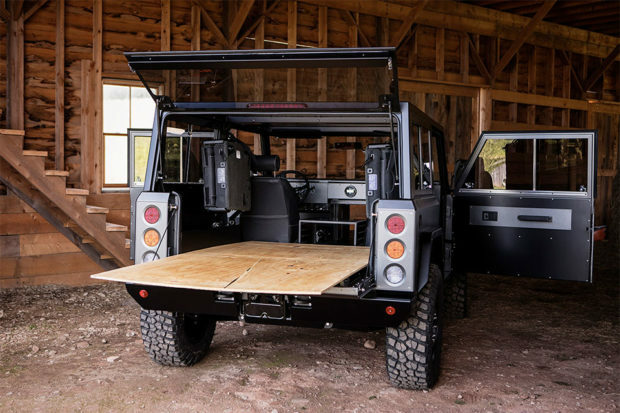 Plus, its rear is wide enough to hold full-size 4×8 sheets of plywood or drywall, or carry sticks of lumber thanks to a clever front-to-rear passthrough that takes advantage of the truck’s lack of a traditional engine. 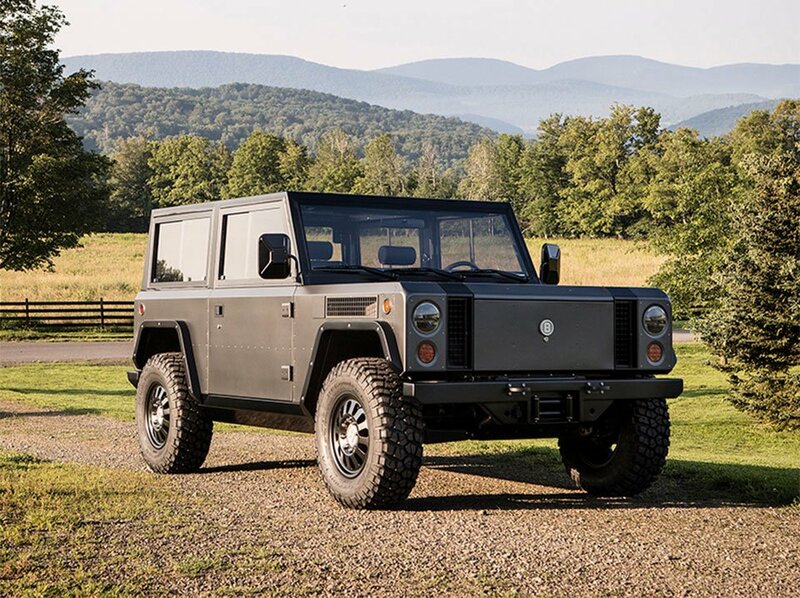 Bollinger will offer both 60 kWh pack or a 100 kWh battery packs giving either 120 miles or 200 miles per charge, respectively. Pricing is unannounced and deliveries will start in early 2018. A deposit of $1,000 will reserve you a B1 if you’re interested.